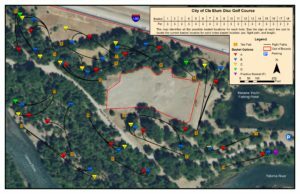 The Cle Elum Disc Golf Course is an 18 basket course that is located in Hanson Ponds Park. The course accommodates all playing levels from beginner to pros. Note: The basket locations are constantly changing.